Seasonal items have their glory for a few months and then are tucked away in drawers until we meet that season again. 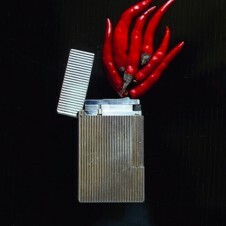 But that doesn't mean we don't love the crap out of the few kitschy items we bring out when company is around. 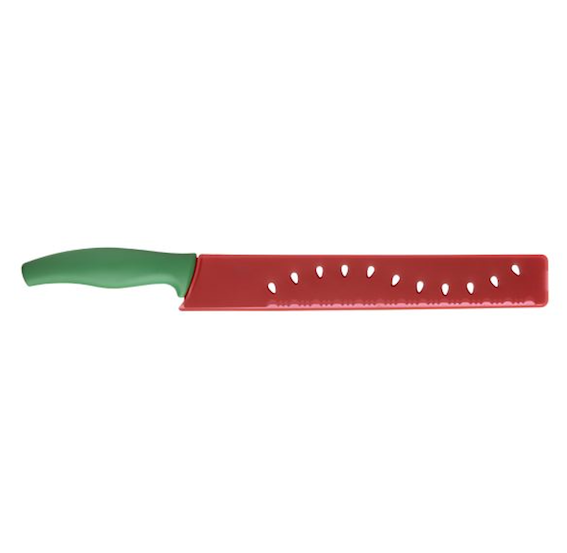 This Watermelon Knife not only features a watermelon print, it cuts watermelons like a pro. Summer essential? Maybe not. Are we buying one? You know it.